New York Judge Dismisses Plaintiff's Claims for False Arrest and Negligence against MTA and Metro-North - Leandros A. Vrionedes, P.C. 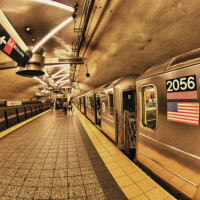 In February 2010, Roosevelt Terry was arrested for possession of explosives by Metropolitan Transit Authority (MTA) officers in front of the Metro-North station at 101 East 125th Street and Park Avenue in New York City. Based on the arrest, Terry was indicted for criminal possession of a weapon in the first degree. More than two years later, Terry was released from custody, and the charges against him were dismissed, when another person whose fingerprint was found on the suspect package admitted to constructing the alleged bomb. Terry sued the Metro-North Commuter Railroad, the MTA, the police officer who arrested him, and the City of New York on seven different federal civil rights and state tort claims, including wrongful arrest; malicious prosecution; and negligent hiring, training and supervision. The New York Supreme Court, New York County, dismissed the claims against the City of New York, and the remaining defendants moved the court for summary judgment to dismiss the claims against them as well. Last October, the court in Terry v. Metro-North Commuter Railroad granted the defendants’ motions and dismissed the case. The judge ruled that the officer had probable cause to arrest Terry. In addition, the fact that a grand jury indicted Terry implies that probable cause existed, unless Terry could show the indictment was based on bad faith or fraud, such as suppression of evidence by the police. Terry did not present any such evidence. Since the arrest was based on probable cause, there can’t be any action for false arrest, false imprisonment or malicious prosecution. Just because charges are later dropped does not mean there was no probable cause to arrest. For instance, the prosecutor may later decide the evidence, while strong enough to believe the person may have committed the crime, is not strong enough to convict at trial. In addition to dismissing the civil rights claims, the court also dismissed the negligence claims. First, the court noted that there is no cause of action for Negligent Investigation in the state of New York. Also, since the arresting officer was acting in the scope of his employment when he made the arrest, the plaintiff cannot make a claim for negligent hiring or retention. On the brighter side for the plaintiff, the defendants tried to get the court to make the plaintiff pay for the costs of defending the action. However, the judge ruled that the plaintiff’s lawsuit was not frivolous, and there was no authority to make him pay the other parties’ costs.